Notice: 2019 HONG KONG ELECTRONICS FAIR (SPRING EDITION) ，April 13-16，Booth NO. : 5G-A23, we are looking for your visit. Fast and Accurately measure your blood oxygen level, pulse rate, and perfusion index. Fast and accurately determine your SpO2 (blood oxygen saturation levels), pulse rate and pulse strength in 10 seconds and display it conveniently on a large digital OLED display. Fast and accurately determine your SpO2 (blood oxygen saturation levels), pulse rate and pulse strength in 8 seconds and display it conveniently on a large digital OLED or LED display. 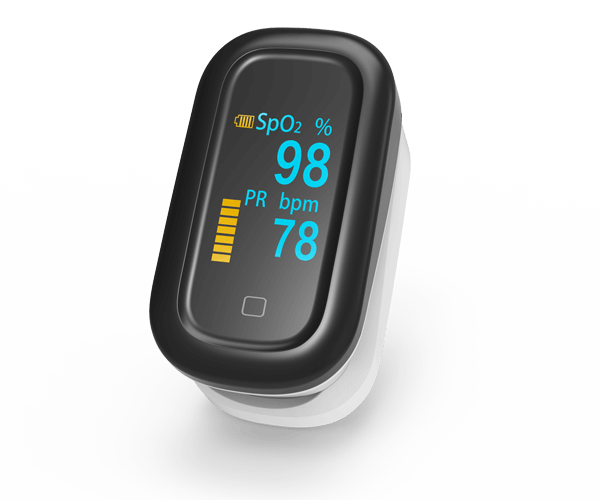 Pulse oximeter detects blood oxygen saturation (SPO₂) and pulse rate (PR). Pulse oximetry is a simple non-invasive method of monitoring the percentage of haemoglobin (Hb) which is saturated with oxygen. The pulse oximeter consists of a probe attached to the patient’s finger or ear lobe which is linked to a computerised unit. The unit displays the percentage of Hb saturated with oxygen together with an audible signal for each pulse beat, a calculated heart rate and in some models, a graphical display of the blood flow past the probe. Audible alarms which can be programmed by the user are provided. 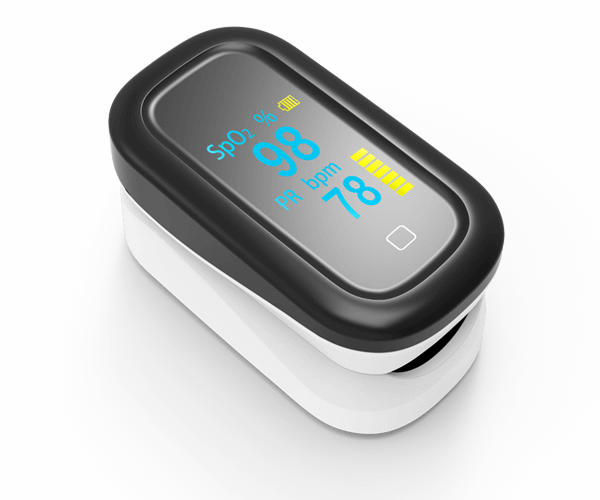 An oximeter detects hypoxia before the patient becomes clinically cyanosed. Accurately measure your blood oxygen level, pulse rate, it only takes 8 seconds to output the measurement result by clinically tested. 2pcs standard AAA batteries, with battery capability indication. Suitable for homes, hospitals, schools and physical examination centers. Leave a message if you are interested in this product. Located in Shenzhen, China, Shenzhen Boxym Technology Co., Ltd has grown to become one of the fastest growing global manufacturers and exporters of durable medical equipment from Asia. We produce and distribute our products to customers throughout North America, Europe, Central America, South America, the Middle East, Asia, and Africa.